I have to be honest that the photos I am sending out in my blog are ones taken during work done over the last couple of weeks. I suppose that rather than show you them as I am doing them, I am still hesitant as to where the painting will go and if I will get over my fear of doing it badly yet again! I am still spending quite a bit of time on the Palmengarten exhibition organisation which means that some days I have virtually no time to paint. 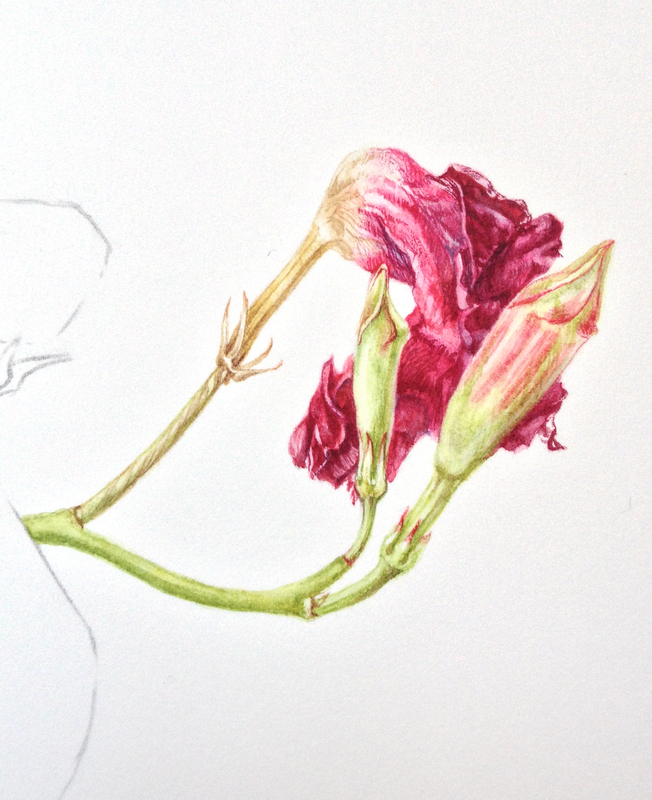 Additionally I mark the assignments for the two botanical art courses at the London Art College. It all takes time off the actual painting. But, I am enjoying seeing the assignments that come in and the development of the students. 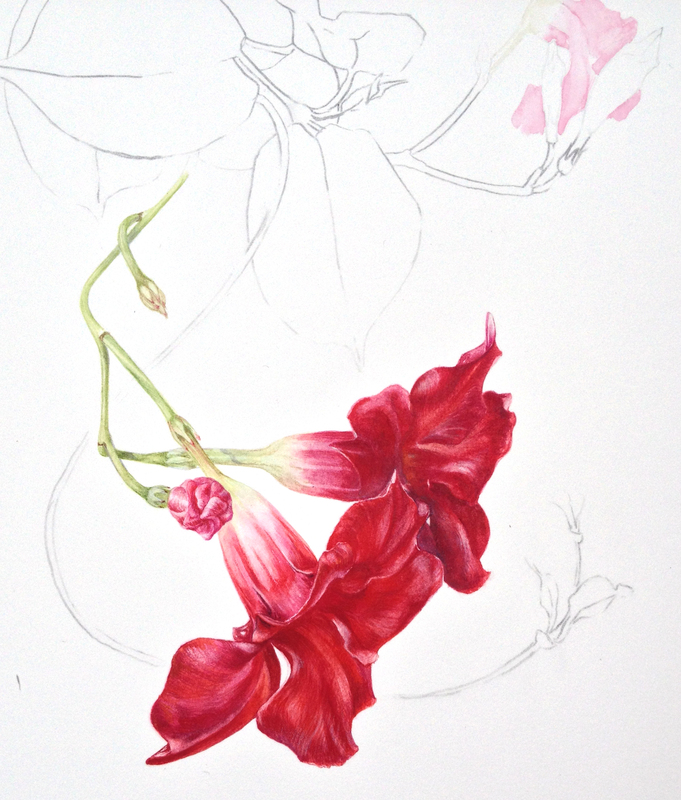 Do have a look at the London Art College website if you are interested in doing botanical painting either in watercolour or coloured pencil. Obviously getting hands-on tuition is the best, but sometimes distances preclude this and the distance learning is a good option. Now a couple more photos from the Dipladenia picture. Dipladenia flower pair with bud and a flower having lost its fused, tubular petals. Dipladenia flower shrivelling & two buds. Gorgeous reds Gaynor. Coming along nicely! Thank you Jessica. It’s kind of you to comment. I seem to hit the bottom when I get to the leaves at the moment. I don’t know why. But quite a psychological hiccup.